Life can be busy at times but even amidst the “busyness”, it’s important to take a moment to be still and reflect on God’s love (which is better than life!) so…I want to take this moment to praise God for everything He has done for me this far, everything He is currently doing in my life and for His future plans for me (which are far greater than my own). For all of that alone, He is worthy of all praise so my lips will glorify Him every moment I get. 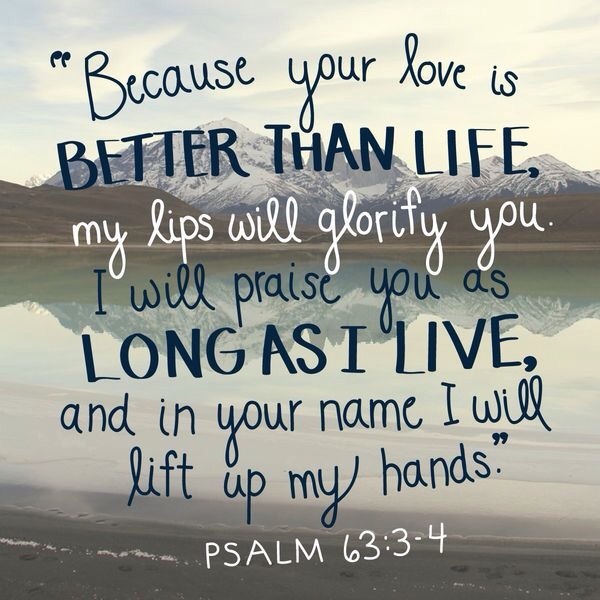 His love is better than life!